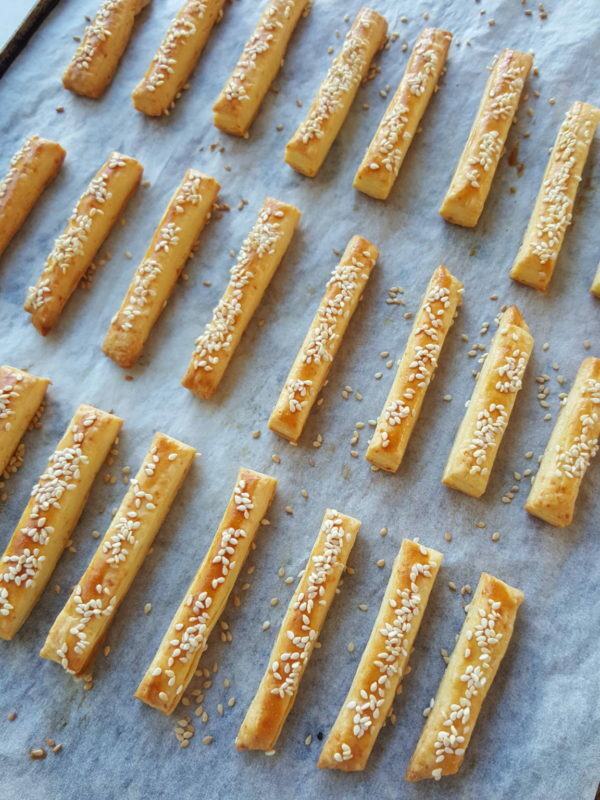 I make these cheese straws with the scraps of pastry leftover from making Leek & Bacon Tartlets, but you could make a whole batch of the pastry and turn it all into cheese straws! Gently knead scraps of pastry together. Roll out on a lightly floured surface, or baking (parchment) paper and cut into strips. 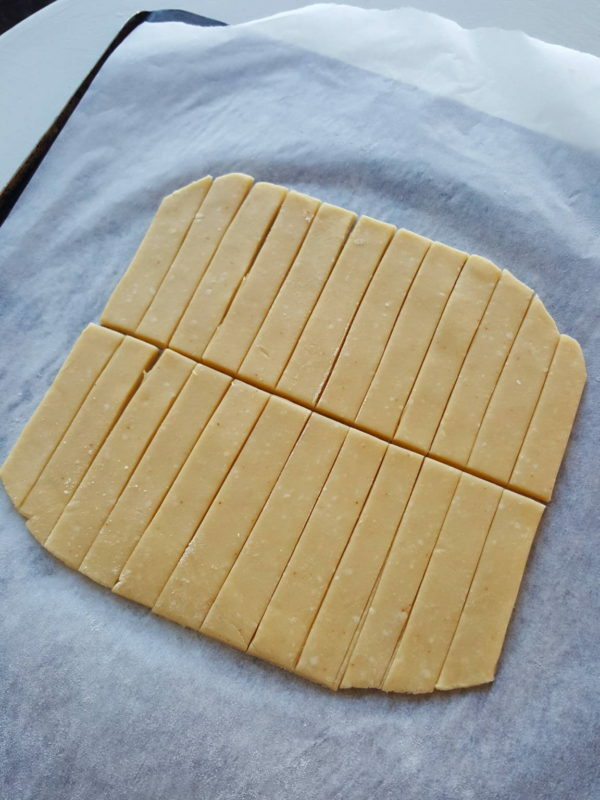 Transfer to a baking tray lined with paper (or on the paper you have used to roll out the pastry). 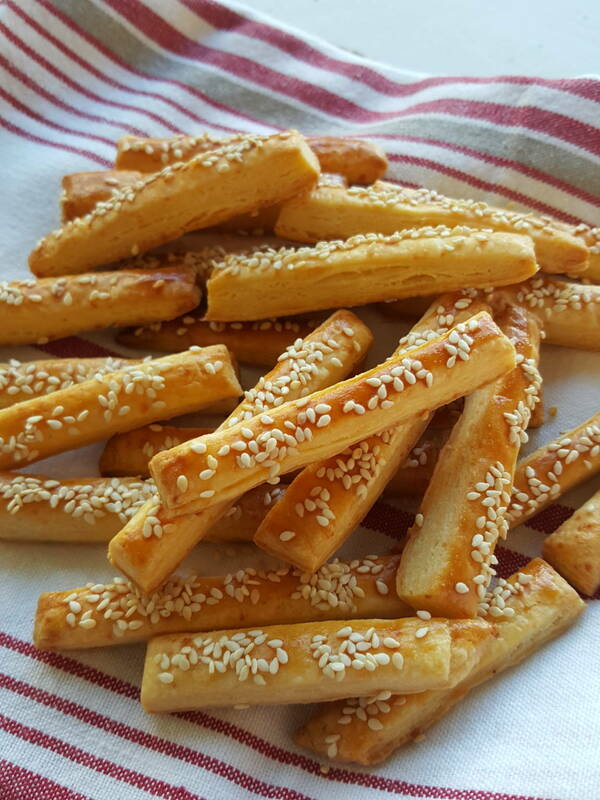 Brush strips of pastry with egg wash (beaten egg yolk and a splash of water) and sprinkle with raw sesame seeds. Bake for about 10 minutes, until golden. Cool and store airtight. Best eaten within 24 hours. 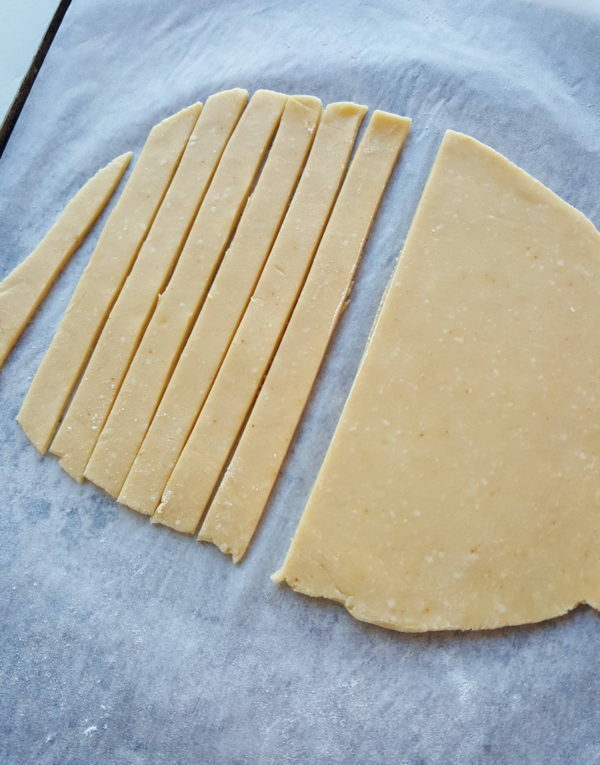 The uncooked pastry strips can be frozen, quickly thawed, then baked.